Seems like tie-dye has finally seeped in to a profound level of normality in the fashion world. While once reserved for dead-heads and psuedo-hippies, now it is ubiquitous and I am falling for it completely, surprising even myself. It feels like the same thing that happened with leopard print a few years ago. And while maybe some of the attraction of this trend is that we can DIY (did you check out my foray into reverse tie dye here? ), there are also some pieces that are so gorgeous that I'm almost willing to shell out big bucks for them. Here's some of my current favorites. I love that second dress! The colour and the back are amaaazing! Also, those white shoes are pretty fierce. I totally love tie-dye... I think it harps back to my older sister wearing it when I was younger, back in the 90s, and I thought anything she did was insanely cool... so it must have stuck with me. But back then it was more of a rainbow of bright shades... I really like these two-toned versions! Oh cute. Love that first one. The color on that is so perfect for a scamper to the beach! Love the second dress..very fun! haha tie-dye is to die for! :D Gorgeous colours! i agree, the second dress is super cool. hi darling, i looovvee your style! amazing blog, i'm a new follower! 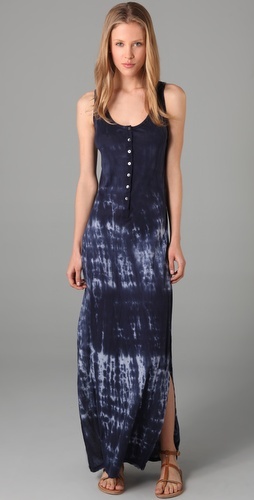 The love the idea of a tye-dye maxi dress. Would be perfect for the beach. The boots look great but these type of boots can also change our gait and this can bring a lot of backache as well but the pain can be got relief with the help of Physiotherapy North Ryde and a new life can be lived that is totally without pain.